American burger chain Five Guys may be deeply entrenched in an Internet war vs. In ‘n’ Out for the title of America’s favourite fast-food burger at the moment, but when it opens in Wan Chai this autumn, it’ll be fighting recent newcomer Shake Shack — as well as the likes of Beef & Liberty and The Butchers Club Burger — for its share of Hong Kong’s insatiable burger appetite. Five Guys’ signature red-checkered design can be spotted in over 1,500 locations worldwide. With the Five Guys hoarding recently spotted on Johnston Road in Wan Chai, located next to The Pawn and underneath Bo Innovation, Hong Kong burger fiends are already drooling in hearty anticipation of yet another all-American burger joint setting up shop here, as our city continues to attract the international ambitions of behemoth US-based chains. Our unfailing appetite for fast food has certainly paid off: Five Guys is one of the most-loved burger chains around the world, with over 1,500 locations across the US, Canada, UK, Europe and the Middle East; it’s been reported that the company has another 1,500 outlets in development, with Hong Kong being the first branch to open in East Asia. Classic burgers and hand-cut fries are served in hearty, American-sized portions at Five Guys. 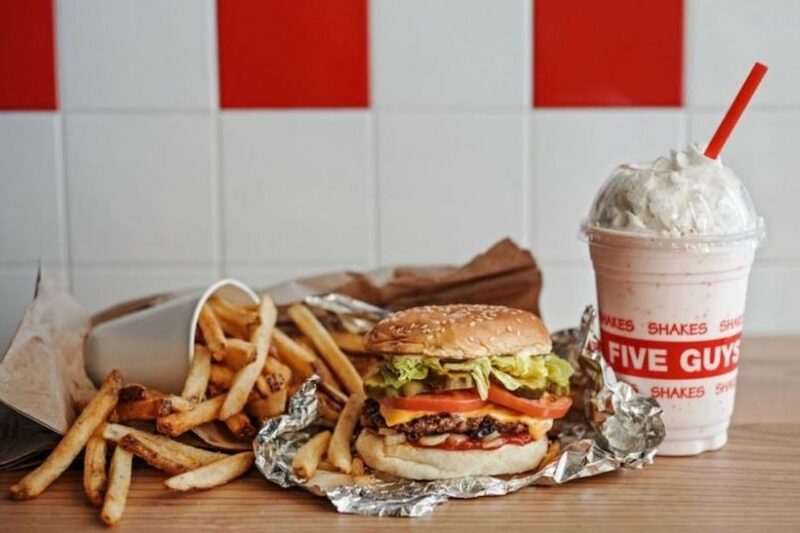 A true no-frills, counter-service-only diner — marked by its signature red- and white-chequered aesthetic — Five Guys offers a simple menu of hamburgers or cheeseburgers with your choice of free toppings, hotdogs, hand-cut fries, sodas and milkshakes. Don’t be fooled by the wallet-friendly prices: In true American fashion, the classic patty comes with two patties (you’ll need to order the “Little Burger” to get your standard one-patty burger). 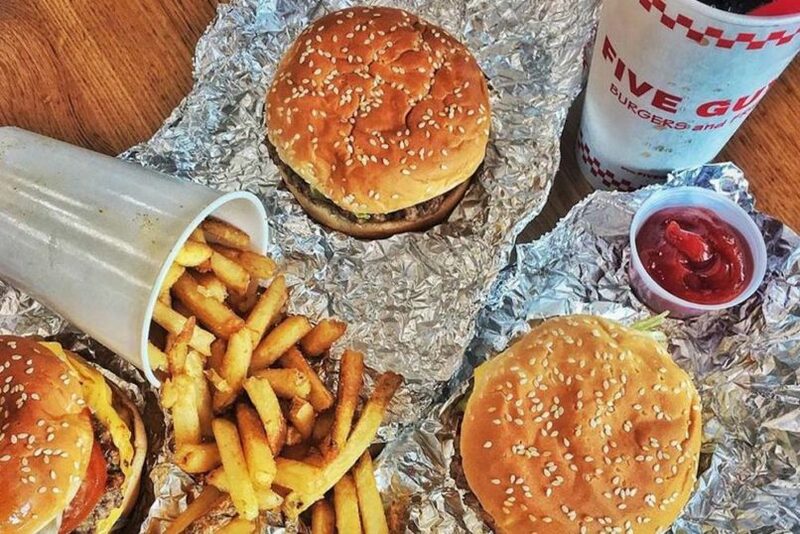 Five Guys fans will no doubt be familiar with the “secret menu” featuring drool-worthy additions such as the patty melt, double-grilled cheeseburger and the “burger bowl” — where the toppings are stacked in a tinfoil box sans bun — although there’s no word yet on whether these items will be available in Hong Kong. With our mouths still salivating from the successful debut of Shake Shack’s mouthwatering patties, we’ll be waiting in eager anticipation to see how Five Guys stacks up to the competition. Stay tuned as we bring you more details.